"Most Thorough Upholstery Stain Protection Santa Barbara!" Replacing Your Upholstered Furniture Could Be Very Costly! Press Play And See How Effective Upholstery Stain Protection Is! 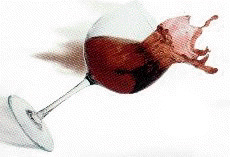 WARNING!...Spots and Spills Happen Everyday! Protect Your Upholstery and Furniture Investments Right Now! You can avoid permanent stains and protect your upholstery from fiber damage by having Healthy Home Plus apply our premium quality protector to your upholstery and fabrics. 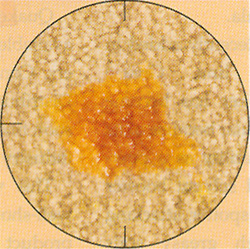 Lets Take A Closer Look At How Effective Stain Protection Can Be On Carpet! Treated Carpet Gives You Stain Protection! 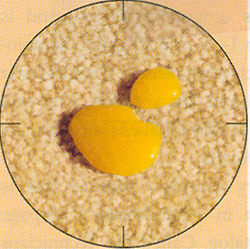 Un-Treated Carpet Causes Permenant Stain! By Not Reading Your Furniture Warranty, You Could Potentialy Lose Thousand of Dollars! There's much confusion about the stain protection being sold in today's market. If you haven't taken the time to learn what your particular upholstery stain protection warranty requires of you as far as maintenance, it's crucial that you find out. There are four many types of upholstery stain protection: Dupont-Stainmaster, Monsanto-Gold and silver Labels with stain blocker, Allied Chemical-Anso V Worry Free and 3M-Stain Release. In spite of the hundreds of millions of dollars that have been spent to promote these products, and in spite of what the consumer may believe, or what they may have been told by a salesperson, these products are not "bullet proof." The upholstery does in fact need to be maintained. In fact, the warranties for all of these products require regular maintenance, by a certified cleaning technician. If you own stain protected upholstery, and don't have a warranty in your possesion for your particular brand, you need to get a copy of the warranty from the retailer who sold you the protection, and read it! Information You Get From Furniture Retailers Could Be Wrong! The Information you get from retailors and other sources may not always be correct. If you have any doubts at all, consult your stain protection warranty. And make no mistake; the manufacturers will not even consider honoring their furniture wear warranties if you can't provide proof of regular yearly cleaning maintenance. So always know what your stain protection warranty requires of you. The upholstery needs to be cleaned by a trained, qualified carpet care professional on a regular basis, which is every 6-12 months in most situations. The stain protective coating also needs to be re-applied on a regular basis. You need to save all the receipts from upholstery cleaning services. If you ever do have challenges with your upholstery, and you contact the manufacturer in regards to your stain protection, they'll require this information. As a FREE service to our clients, Healthy Home Plus provides upholstery stain protection warranty claim assistance to all of our valued clients. We keep an updated record of all of your regular upholstery cleanings in our office. This way you can prove your regular upholstery cleanings to the manufacturer, if you have a upholstery warranty claim. If you have any questions or concerns regarding upholstery stain protection or stain protection warranties, please call me direct at 682-9483 or visit our APPOINTMENT page to schedule an appointment online. Over 1,000 of Santa Barbara, Goleta and Carpinteria's most descriminating homeowners rely on me to take care of their upholstered investments. Plus, I keep their homes clean and healthy. I want to add you to my list of happy Healthy Home clients! How Long Will You Go Without Any Upholstery Stain Protection? or Request an Online Instant Upholstery Stain Protection Quote Right Now!